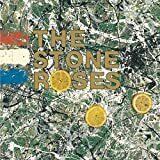 This week, the remastered editions of The Stone Roses' self-titled debut album see their stateside release. Available in a 2-CD, 1-DVD deluxe edition as well as a 3-CD, 3-LP, and 1-DVD limited collector's edition, the releases pull together a newly remastered edition of the seminal album as well as demos and live concert footage. The Stone Roses is easily one of my favorite albums of all time, and I am happy to give one Largehearted Boy reader the opportunity to win one of the deluxe editions. Read Alex Green's Book Notes essay on his 33 1/3 book about the album. To enter the contest, leave a comment in this post with the name of an album you would like to see remastered and packaged together with bonus demos and video. The winner will be chosen randomly at midnight CT Friday evening (September 11th).